Separate dough into 5 rolls; place each in ungreased regular-size muffin cup. Bake as directed on can. While warm and still in muffin cups, gently press small cup or shot glass down into each warm cinnamon roll, making sure not to go through to bottom. Cool about 15 minutes. Run knife around edge of each cup; remove cinnamon roll cups from pan to cooling rack. 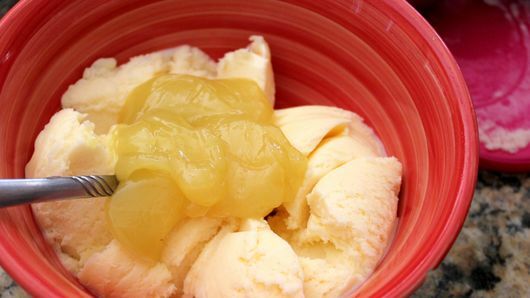 Just before serving, stir together frozen yogurt and 1/4 cup lemon curd in medium bowl. 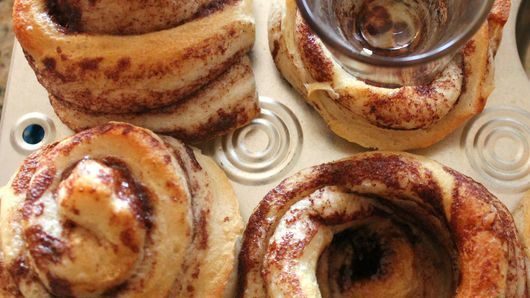 Place cinnamon roll cups on dessert plates. Fill each with yogurt-lemon mixture. 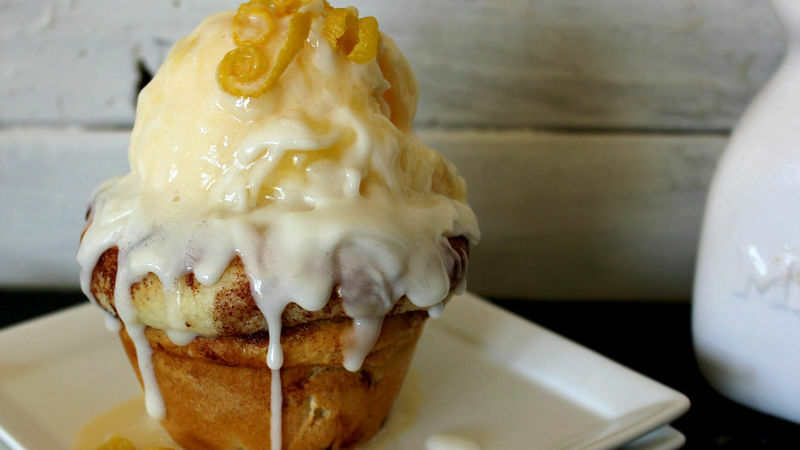 Top with additional lemon curd; drizzle with icing from cinnamon rolls. Garnish with lemon peel strips. Fill right before serving so they stay nice and firm. You can also fill them with assorted candy to use the cinnamon roll cups as place cards or party favors!